Finding Ana investigates the complexities of Ana Mendieta’s personal and professional life, allowing for discourse on the cross-over between biography and practice of an artist and the varying strata and positions of power within the art world. 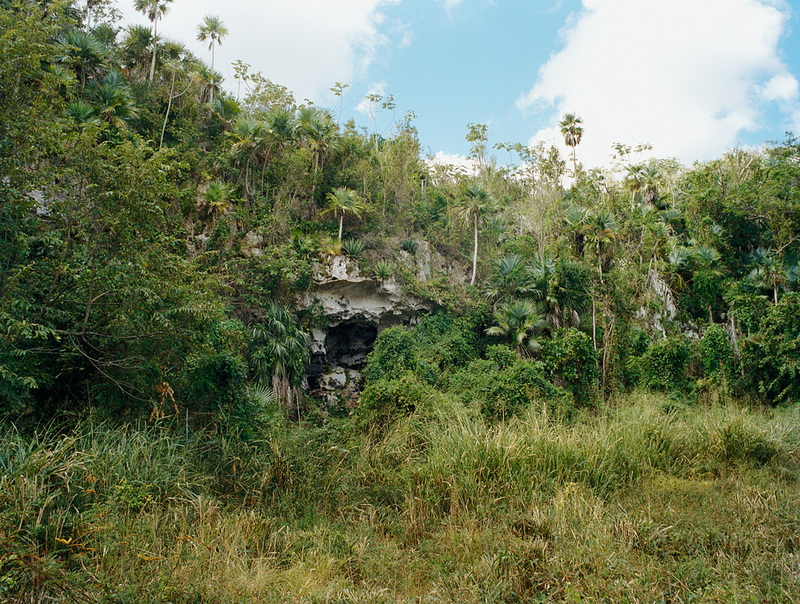 In 1981, Ana Mendieta returned to her native Cuba where she created the Rupestrian Sculptures, a series of carvings in the caves of Jaruco Park. These works confronted her anxieties of separation from her culture of origin and concluded the series of identity-based works for which she is best known. According to the Guggenheim Museum in New York and the Ludwig Foundation in Havana, Ana’s sculptures were destroyed. In 2012 I traveled to Cuba and located these works, weathered but not dismantled. The project documents my journey and discovery of Ana Mendieta's lost works, unraveling an alternative to what is reported, asserting myself in her narrative while considering the position of the artist as investigator in re-strategizing history in search of another truth. Finding Ana was made with the generous support and assistance from the Canada Council for the Arts.